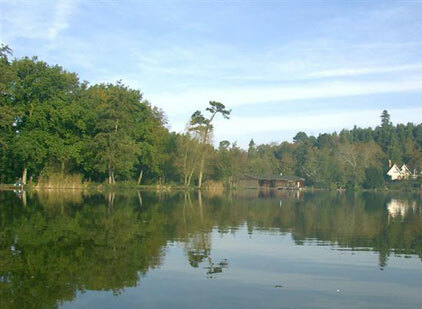 Crawley Post Office Angling Club was formed in the spring of 1987. The social club received a letter from SEPORA (SOUTH EAST POST OFFICE REGIONAL ASSOCIATION) asking whether anyone in the Crawley office would like to take part in a regional angling competition. A PHG named Les Bailey did a bit of fishing and set about getting a team together. He asked Colin Temple. (He had never fished before but he agreed as he thought it would be a good day out).Between them they managed to get 3 teams of 6 together. Most of them were sea anglers but took part for the fun of it. Unfortunately, Les got the sack before the matches took place and Colin was left to organise everything on his own. The teams did well and the anglers expressed a wish to form a club.By August 1987 the club had 20 members. Thanks to Colin's efforts the club has grown to what it is today. We all fish in sections of five. This means that you are only fishing against the two people either side of you. You are awarded 5 points for 1st place, 4 points for 2nd place and so on down to 1 point for 5th place. You also get a point for each species of fish you catch. See list below. Your lowest two results of the season don’t count to allow for holidays. Your section points are added to your species points to give your total points for each match. Gudgeon Pike,Zander,Trout, and Grayling count as a species each. You must get a witness and return straight away as they count towards weight. Same as last year. The first two matches of the season will be qualifiers. The best of the two weights will count. This is so that if you miss one of the two you still have a chance. THE TOP 16 WILL QUALIFY. There will then be a draw. First one out picks the venue. Second gets choice of peg. This is if you fish the round independently. If you fish the round at a regular match this doesn't apply. It will be a knockout competition.